But how much should we rely on other people to help us in our behavior-change efforts? 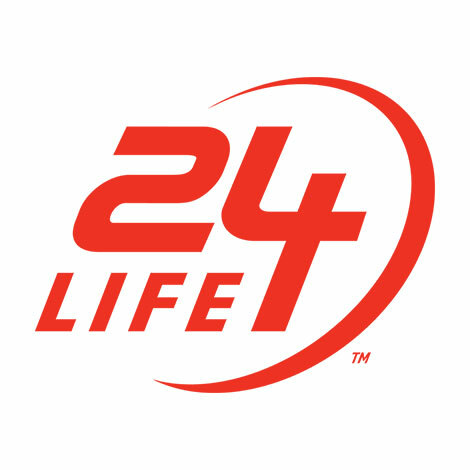 24Life asked some experts for their insight. According to Rogers, there are usually three overarching reasons that we fail to follow through on our good intentions: We forget, we lack the willpower or self-control, or we face unexpected obstacles. Chapman explains that studies show people walk more when they can compare their effort to someone else’s effort, versus walking on the same team. “We can understand these results in light of a study by Zhang and others who found that groups of people who competed with one another increased their exercise frequency relative to groups of people who supported one another by working toward a group outcome,” Chapman says. Some friendly competition may be just what you need to get your fitness routine going. Chapman recommends taking advantage of your fitness tracker and syncing up with your friends and family members to inspire a little healthy fitness competition. “By all means, we should engage the assistance of others in accomplishing our behavior-change goals,” agrees Robert Cialdini, Ph.D., Emeritus Professor of Psychology and Marketing at Arizona State University and author of The New York Times bestsellers “Influence: Science and Practice” (Writers of the Round Table Press, 2012) and “Pre-Suasion: A Revolutionary Way to Influence and Persuade” (Simon & Schuster, 2016). How can we leverage this when it comes to positive behavior change in the realm of health and fitness? Get your friends in on the fun. Make a standing date to go to a workout class every week with a friend or two. If they commit to going, it’ll be much easier to drag yourself off the couch to meet them than if you didn’t have someone else committed to the cause with you. Want to change your behavior for good once and for all? Join 24 Hour Fitness and 47 world-class scientists to explore and understand what makes behavior change stick. The 28-day StepUp Program is free to 24 Hour Fitness members. Sign up at 24go.co/stepup.